Creating inspiring interiors all over Bromley! If you live in Bromley and want to add some flair to your surroundings then Furnished by Anna can assist you in making your design dreams a reality. We offer a full interior design and consultancy service to clients across Bromley and the surrounding areas and have the necessary expertise and know how to design and furnish whatever space you’d like created. Our team draws on a wealth of experience working with design projects both large and small, and we have experience considerable success redesigning home interiors in the Bromley area. Having completed a number of different projects throughout the South East we take pride in exceeding expectations in creating truly unique and innovative spaces that perfectly reflect the lifestyle of our clients. To make a house into a home you have to truly enjoy the space, which is why we utilise modern space saving techniques coupled with professional furniture design and renovation techniques in order to help you create your perfect home, whether it is for your home office, a bedroom or bathroom or even a kid’s playroom. Anna founded Furnished by Anna in 2008, having already earned a professional reputation for offering expert interior design services throughout the South East as well as a variety of other services. Bringing her passion into every project she does, Anna combines an eye for original design with smart budgeting and personalised touches. With a bespoke service tailored to suit the individual needs of your home and family, Anna takes pride in offering a personalised service that really breathes new life into your home, transforming it into something you can be proud of. We are pleased to offer all our clients a uniquely personalised one to one service and can tailor every aspect of the design process from start to finish exactly to your precise specifications. Having worked with clients in apartments, period properties, modern developments, traditional houses and offices, no job is too big or too small and we can work to any budget. Whether you’re thinking of giving your home a makeover or are looking to refresh your office’s interior style our comprehensive experience will ensure you get top quality service. Offering home consultancy services throughout Bromley we focus on providing a first class, personal service at a competitive rate, proving that you don’t need to sift through exclusive interior designers in order to receive a personalised, expert service. 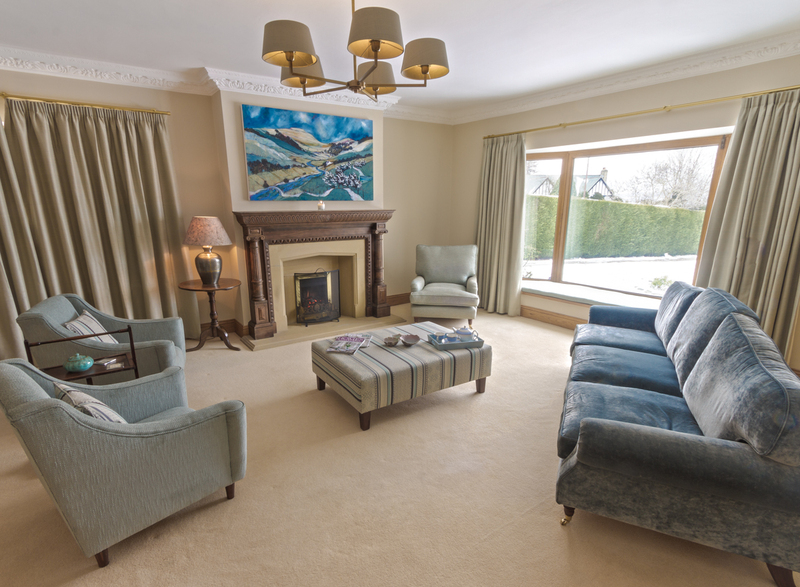 With a wide range of services available we understand the importance of making your home your own, and with an individual service we work with you to make sure that you are truly satisfied with our interior design techniques. Through our extensive network of suppliers, covering all budgets, we’ll easily help you track down exactly what you’re looking for, be it a solid oak bookcase or a polished brass wall fitting! Thanks to the attention to detail we give each individual project, Furnished by Anna are very popular in Bromley with countless recommendations and happy clients. We’d love to discuss your individual requirements to help you achieve your design goals! Whether you are planning on a full interior renovation of you would simply like a few ideas to get you started, Furnished by Anna offer a full comprehensive service to help you create the house of your dreams. Utilising the latest interior design techniques and technologies, our expert designers offer you a range of storage solutions, design features, modern and classically styled rooms, furnishings, features and many more from our distinguished trade partners. Plus with made to measure blinds and curtains available in the fabric of your choice we will help you to create that perfect atmosphere in both the larger renovation projects and the little details. Click the image below to see a recent transformation with some seriously fun vibes in Chislehurst. Furnished by Anna offers a personal service designed to help you to create beautifully designed rooms and interiors that provide a unique touch to your home. We understand the importance of coming home to a house that truly speaks to you, which is why Anna takes time and effort working with each individual client in order to make sure that we design rooms that are completely individual to you. Should you have any questions about the services we provide, or if you simply want an expert opinion on making the best use of the space available in your home, please contact us today. You can get in touch by filling out the form on our contact us page or by calling Anna on 07968699441 to discuss your project and book one of our free initial consultations. We look forward to hearing from you soon.